There are many definitions of a “bear market: floating around, but the generally accepted theme is a 20% decline from the peak. 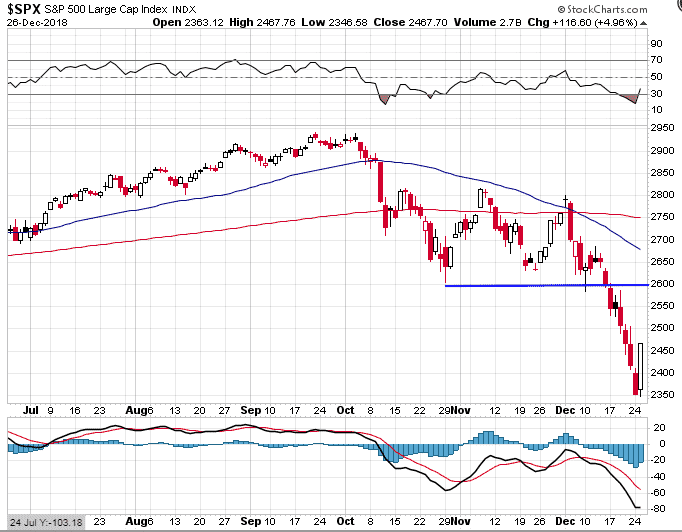 By that definition, the S&P 500 entered into bear market territory on Christmas eve. That 20% drop came in pretty darn quick fashion too! What we have to ask ourselves now: is this just a normal decline or the start of a larger, recessionary bear market. 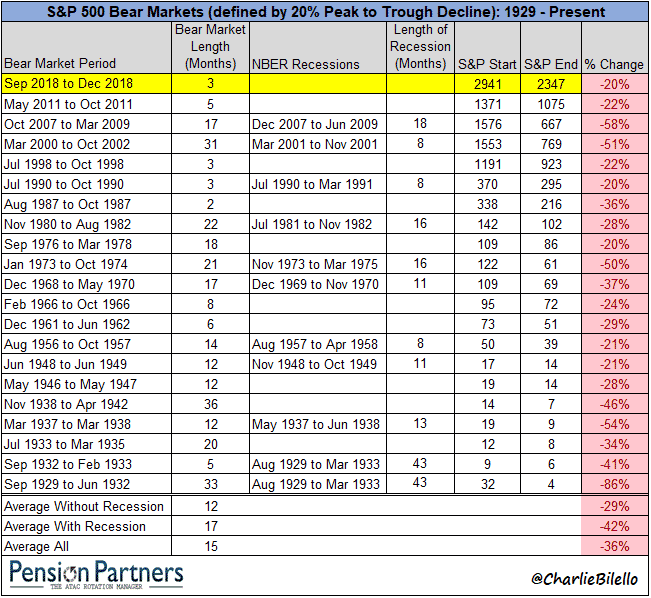 There have been 21 bear markets since 1929 with the average of all declines sitting at 36%. This data thanks to Charlie Bilello of Pension Partners. Clearly, a recession associated with a bear market results in much bigger declines than a bear market without a recession. So, is the stock market predicting a recession? Or is this just a short, sharp decline? What is clear is that markets are in a period of weakness and there will be plenty of counter trend rallies as we saw yesterday. 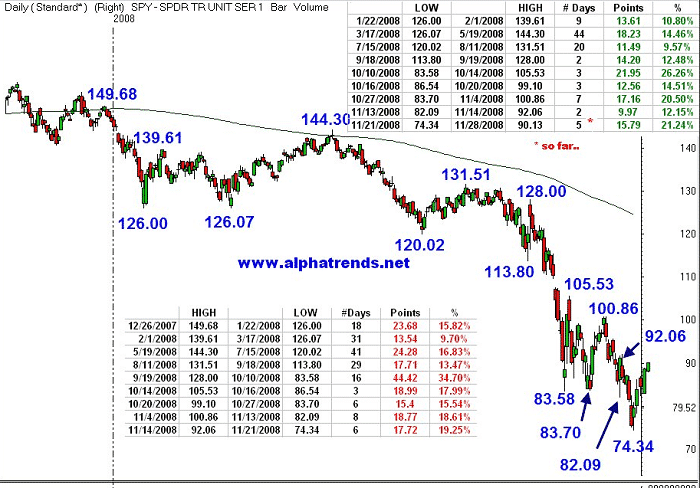 Shorting a bear market can be tricky, just take a look at some of the counter trend rallies from 2008! However, if you’re looking to get short this market, 2600 on the S&P 500 would be a logical spot.